Indulge your bag addiction! The Take a Stand tote is a great stand up bag, using several unique bag making techniques. 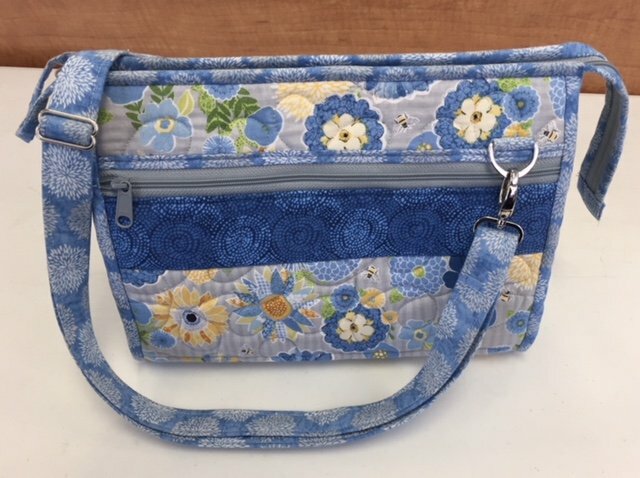 It will hold all your supplies and will also double as a support for your Running with Scissors bag! This Stand-up tote comes in two sizes and has an easy-to-install zippered top, an adjustable, detachable carrying strap, outer zippered pockets and inner mesh pockets. Choose your favorite fabric, let Kim guide you through the steps to make this versatile tote!